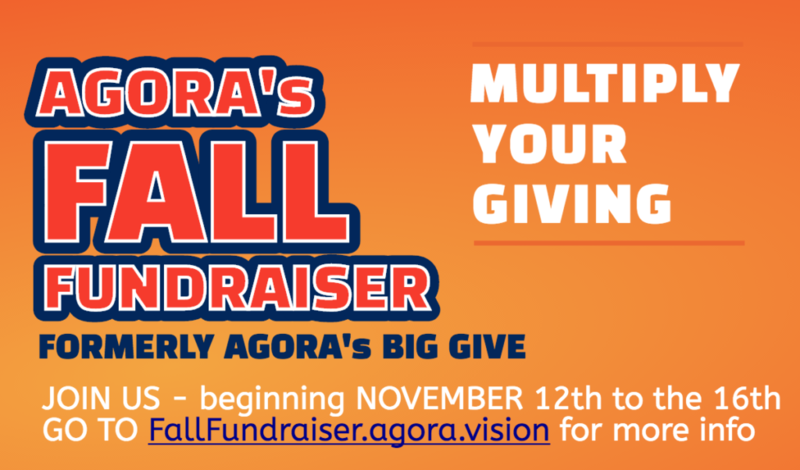 Support Agora at the Fall Fundraiser and multiply your yearly donation! Our fundraiser is now over. Stay tuned for a final count. Thank you for your support!